Bhaban Bhatta today declared his candidacy for the post of President of Non Resident Nepalis Association (NRNA)-International Coordination Council (ICC). No wonder as the umbrella association of Nepali Diaspora is scheduled to held its 8th Global Conference in Kathmandu on October 14-17 to elect a new leadership for 2017-2019- term, aspirants have started announcing their candidacy. Bhatta, the incumbent NRNA-ICC vice president, said that the association that was established some 14 years ago, has a network in 77 countries. "The NRNs have been contributing in national economy through investment of their capital, skill and technology," he said, promising to continue the exploitation of the Nepalis' skill and technology through the NRNA. Bhatta, who made a fortune from hospitality business in Japan, has also made investments in the apparel industry, education, hospitality, media and aviation sector in Nepal. Announcing his candidacy, Bhatta, pledged that he would give continuity to works initiated by the NRNA, if he is elected the president. The works include completion of model settlement at Laprak in Gorkha, which was devastated by the 2015 earthquakes; construction of NRNA’s own headquarters in Kathmandu; implementation of Vision 2020 and Beyond, prevention of brain-drain while encouraging those abroad to return Nepal. He, on the occasion, also said that NRNA will contribute in entrepreneurship development and transforming the country’s tourism sector by mobilising NRNA’s vast network and encourage national coordination committee of each nation, where NRNA is formed to start at least one flagship project in Nepal. Likewise, he also pledged to set up a start-up fund through NRNA so that innovative ideas will get a chance to be realised to benefit especially women and youth. . He also promised to work for the welfare of migrant workers through NRNA’s network and starts insurance through mobilising a welfare fund. The Fund has been currently used for the rescue and relief of migrant workers. "I will introduce insurance products for Nepalis working abroad," he said, addressing the media. Around 1,500 to 2,000 NRNs are gathering in Kathmandu for the NRN Global Conference and NRNA International General Assembly on October 14-17. 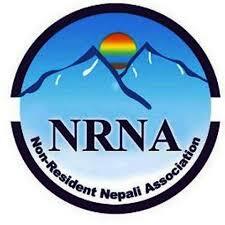 As the global conference of Non-Resident Nepalis Association (NRNA) nears, election fever will grip the NRNs more. The NRNA-ICC had last held its election in 2015. During the four-day event, NRNs will choose the new president, as incumbent president Shesh Ghale, is stepping down after completing his second two-year term. According to the Statute, one can have only two terms as president. The International General Assembly will also elect different NRNA-ICC’s executive committee member. It will also elect regional coordinators and co-coordinators for six regions including Asia-Pacific, Europe, America, Oceania, Africa and the Middle-East. No one has formally announced candidacy for the post of president of the NRNA-ICC till date, and due to his growing clout and positive energy, Bhatta is seen as a lone candidate for the president in the NRNA ICC. The NRNA that is now expanded to 77 countries around the globe, except in South Asia, has over 100,000 members, though it is reported that 5 million Nepalis are living in 110 countries throughout the world.